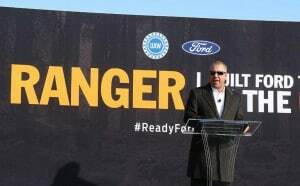 Ford's Joe Hinrichs introduced the first of the new Ranger midsize pickups and elaborated on Ford's future truck plans. 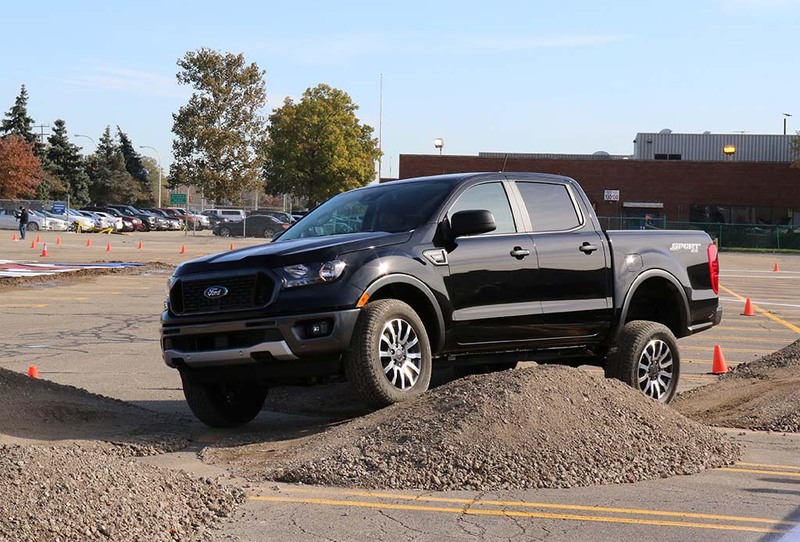 The first production versions of Ford’s new Ranger pickups are getting ready to roll off the assembly line, the automaker announced at a Monday morning event at its Wayne Truck Plant in suburban Detroit. The announcement caps an $850 million makeover of the factory that had previously been producing such slow-selling models as the Focus sedan and C-Max people-mover. And it lets Ford move forward on plans to virtually eliminate its traditional passenger car line-up, the number-two domestic automaker shifting its attention to pickups, SUVs, CUVs and other light trucks. “We’re excited by the growth we’re seeing in the midsize pickup segment,” said Joe Hinrichs, Ford’s president of the Americas, as he addressed reporters and Ford employees outside the Wayne plant. At the beginning of the decade, many analysts thought the midsize truck market had dried up, a number of players pulling out of the segment. That included all three of the domestic manufacturers, Ford ending the run of the last-generation Ranger in 2012 and shuttering its plant near Minneapolis. 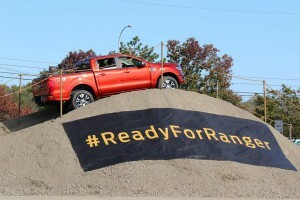 Ford demonstrated the capability of the new Ranger during its introductory launch party. But things began to turn around when General Motors revived its Chevrolet Colorado and GMC Canyon models in 2014, demand for midsize trucks regaining momentum. Last year, sales rose to 452,336, from 448,398 in 2016. That was a 0.9% increase and came in sharp contrast to the overall decline of the American new vehicle market. Or so Ford hopes, as it is a latecomer to the rebounding segment. Following the return of the two GM trucks, Honda relaunched the Ridgeline which became the fourth best-selling model in the midsize pickup class last year. Toyota continues to lead the segment, sales of its Tacoma climbing 3%, to nearly 200,000 last year. The irony is that Ford has had a new midsize pickup, an international version of the Ranger being produced in Ford plants in Thailand and other parts of the world for much of the decade. 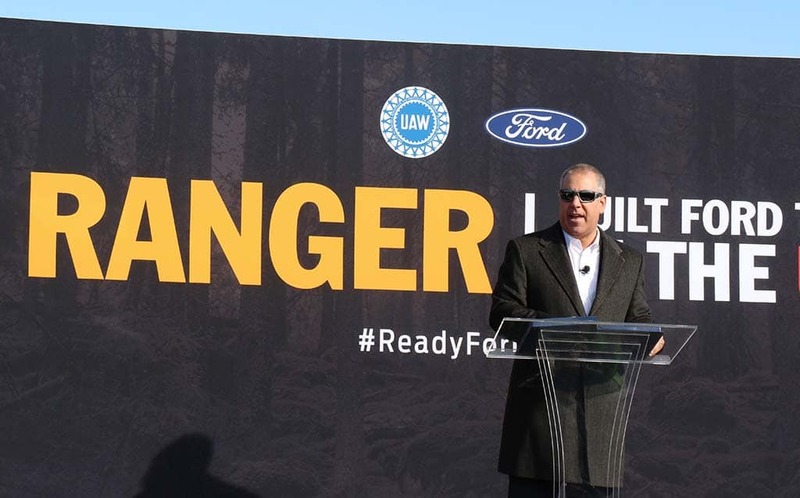 Company officials just weren’t convinced the market would continue to recuperate in the U.S.
“We can’t go back and change the past,” Hinrichs said, striking a pragmatic note when asked whether it will be able to rebuild momentum for the Ranger nameplate, once the best-selling small pickup in the U.S. The midsize Ranger is Ford's new, albeit late, entry into the fast-growing segment. Company officials stress that once they did decide to revive the nameplate in the States it took a few years to make the necessary changes to the international version of Ranger. The newly revived truck will be offered with more cabin and bed configurations than ever before and, unlike the old Ranger, Ford won’t be targeting the bare-bones econo-truck market. The lowest-priced version of the new Ranger will start at $23,395, about $4,400 more than the base price of the Nissan Frontier. A fully loaded 2019 Ford truck will push into the low to mid-$40,000 range. That would put it up against some versions of the full-size Ford F-150, the country’s best-selling pickup. 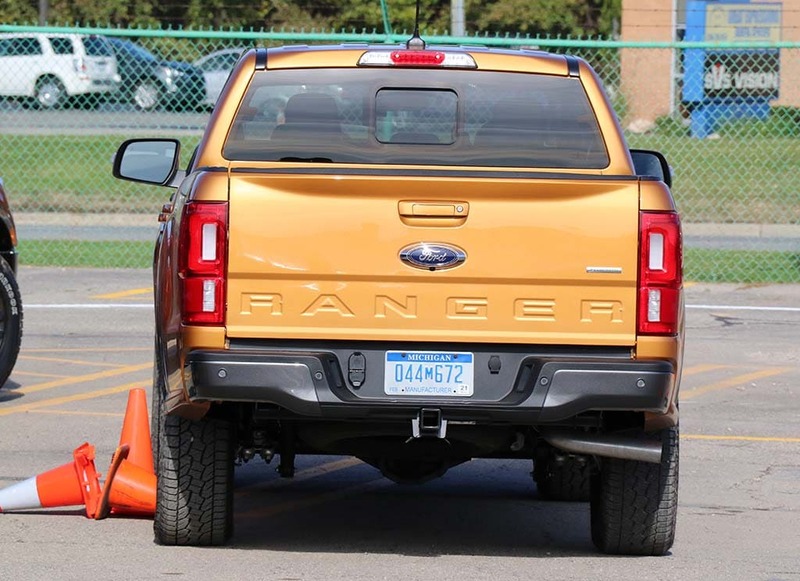 But Hinrichs said the carmaker expects the Ranger to appeal to a very different sort of buyer than the work-oriented F-Series family. Asked about future options for the Ranger, Hinrichs said there currently no plans to bring to the U.S. the high-performance Raptor version being launched abroad, but quickly added “one should never say never.” He declined to discuss whether Ford will add an electrified version of Ranger now that it is also planning a hybrid F-Series model. There is no mistaking what the name of this Ford pickup. On another subject, Hinrichs said Ford is pressing the Trump Administration to take steps to back off of tariffs that are expected to add more than $1 billion in costs for Ford this coming year. “We’ve told them we need to have competitive costs around the world,” said Hinrichs, adding that steel prices in the U.S. are now the highest in the world, in part due to import tariffs. Ford is also lobbying the White House not to move ahead with threatened tariffs on European auto imports that could result in new restrictions on auto exports from the U.S. This entry was posted on Monday, October 22nd, 2018 at and is filed under Automakers, Automobiles, Business, Executives, Ford, Markets, Personalities, Pickups, Sales, Sales, Trends, U.S./North America. You can follow any responses to this entry through the RSS 2.0 feed. Both comments and pings are currently closed.